Sinkyone’s 7, 500 acres are home to old-growth redwoods, some 10 feet wide. This was an extremely ambitious project for a Scout to take on, and Joseph had plenty of challenges — but with the help of Camp Host Carla Thomas and Ken, an engineer, he overcame them. Joseph received California State Parks’ approval to replace four bridges on the trail from Needle Rock to Jones Beach. 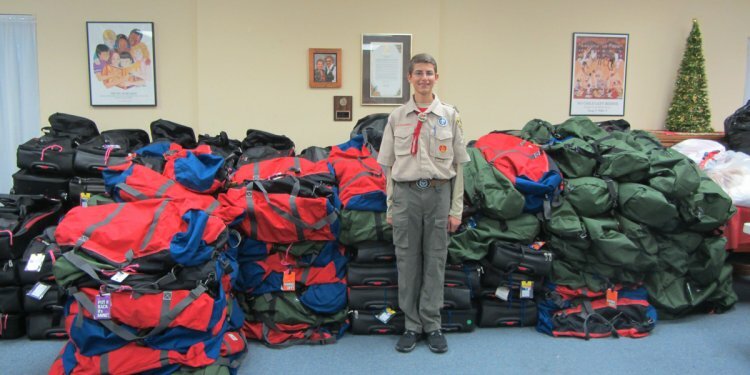 With Carla’s assistance, he secured the $8, 000 for materials from California State Parks. The crowning accomplishment was assembling a phenomenal team of volunteers: members of the Whale Gulch Volunteer Fire Department and Southern Humboldt Technical Rescue Team, California State Parks staff and volunteers, Boy Scouts from Newcastle Troop 13 and the Haas family all gave their time and energy to the project. Together the team contributed more than 1, 500 volunteer hours. They carried three and a half tons of lumber – by hand – down the winding trail to the building sites, where they meticulously constructed the bridges.